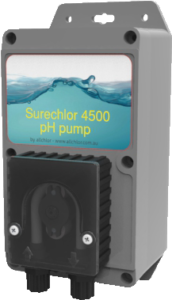 Replacing the popular Surechlor 3000 series, the new Surechlor S3500 is the ideal low cost, standard and reverse polarity, self cleaning pool chlorinator. The Surechlor S4500 combines intelligent automated software with a user friendly interface to provide unparalleled water care technology. The Surechlor S4500 MMS, works seamlessly in both salt and mineral pools.